Colleen Lorrah's childhood in the blended white and Native American cultures of Montana's Crow Indian reservation was marked by omens that held important clues to her future. Her family was Irish-American, but the multi-generational history between the Lorrahs and tribal members provided her the gift of access and participation in rituals and practices of the tribe. Like many young people from the rural West, a successful executive-level career took Colleen away from her family's sprawling sheep ranch on the Reservation. Only her dying father's mysterious request launches her on a mission to trace the family's Irish history, causing her memories to surface and map her destiny. 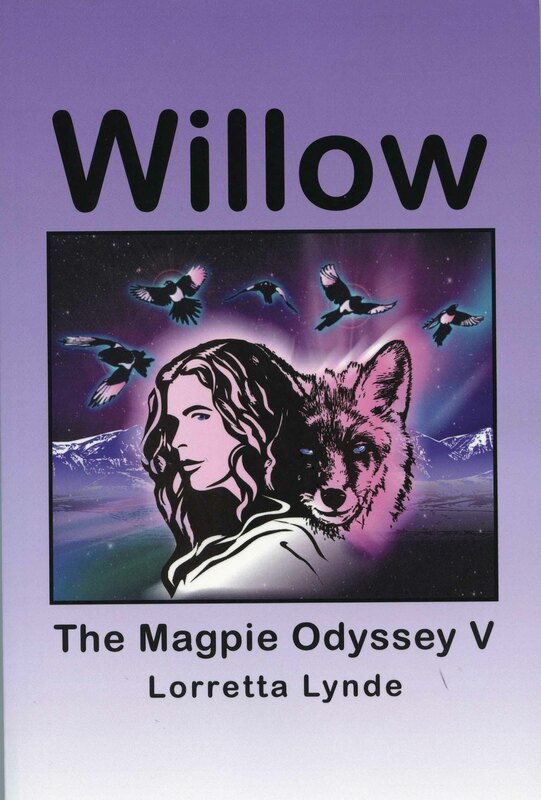 In The Magpie Odyssey, her epic journey weaves her personal history among the Crow Indians together with ancient beliefs still held in tiny pockets of Ireland. The quest brings her face to face with the Irish struggle for peace and with the mysterious McCumhaill, a shadowy hero whose face has never been seen. He is locked in a battle with those who would create violence and chaos in opposition of peace in Ireland. Events unite them, as their passion for Ireland and for each other reaches a violent and astonishing crescendo. In this sequel to The Magpie Odyssey, Colleen Lorrah comes home to her family's sprawling Montana sheep ranch on the Crow Indian Reservation. Her Irish hero, MacCumhaill, has been killed in a vicious bombing in Ireland, and all her efforts to put the horror of this event behind her have failed. Her personal struggle to recover from grief drives her to seek refuge in one of the ranch's mountain line camps. Her family's close-knit history with the Crow Tribe provides her with partial answers and direction as she struggles with her wounded spirit. Guidance comes from parallels between Indian tradition and ancient Irish tribal legends, revealing knowledge long hidden from the modern world. New strength delivered to her from hidden sources helps her face the violence and danger that follows her from Ireland. Along the way, Colleen gathers power from ancient beliefs to defeat dark forces that threaten her survival. A final trip to Ireland must be made to bring the family birthright full circle and set the stage for the future of the Lorrah legacy. Aisling Lorrah resents having to spend the summer in the wilds of the Big Horn Mountains. Despite the beauty of the place and her fondness for her great-aunt and uncle, Colleen and Andrew, she resists giving up her summer with her friends. But this is the most fateful summer in her life. The Lorrah family spiritual guide, Crow Indian medicine man Black Bird Shows, guides Aisling, Colleen, and Andrew to many revelations through stories and visions. These dreams under the open skies of eastern Montana transforms each of them. In this prequel to The Magpie Odyssey and Mountain Medicine, the history of the Lorrah family unwinds from the action-packed and violent times of the early twentieth century to the present. 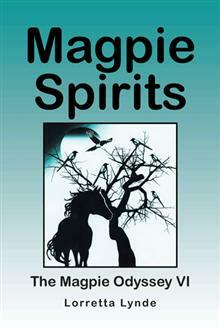 Irish and Crow Indian secrets and legends join for an explosive showdown against evil. The result is a powerful emotional odyssey that explores the parallels between these two cultures and the spirits that haunt them. Magpie Genesis is a heady tale that explores the bond of the Lorrah family to its remarkable past. 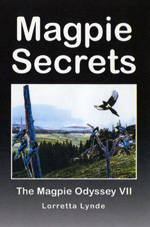 These pages reveal the magic that exists in everyone, and the mysteries that await disclosure in the mists of the past. As Aisling Lorrah enters her first semester at the University of Montana, she wants nothing more than to fit in seamlessly. Sadly, no one seems to understand her family traditions and profound familial connection with the Crow Indian people. It is only after she is given a challenging class assignment that the mysterious forces of past and present collide and send Aisling on a journey through time that will change her forever. Assigned to write a paper describing her family’s philosophy and beliefs, Aisling’s research leads her straight to Willow, an enigmatic ancestor who both believed in and rebelled against her family’s values. But when Aisling discovers something dark and frightening lurking in the shadows, she soon finds her spirit and personal safety in jeopardy. In a potent struggle between her family’s magic and the sinister threat to her life, she turns to two parallel sources of powerful and ancient knowledge for the answers. In this poignant tale, what Aisling finds in her search for the truth will illuminate her path forward into an unexpected revelation and a new view of the world. When eight-year-old Andrew Finnegan's family is murdered in their home in Derry City of Northern Ireland in 1958, Aunt Eibhlín brings him home to live with her. While growing up in her Bureen Woods home, Andrew and his aunt form a special and lasting bond—the ability to communicate telepathically. Now, decades later, Andrew has failed to reach his aunt through their mental communication. He fears that she may be in danger. With his wife, Colleen, and their great-niece Aisling, Andrew leaves his beloved Big Horn Mountains in Montana and travels to Ireland to search for his aunt. Through this journey, he retraces the steps of his own history. During this mystical and dangerous mission of discovery, their path is illuminated with the help of Crow Indian medicine men, Irish travelers, a priest, and several other unlikely guides. Clues from Andrew's life and the exploits of the mysterious MacCumhaill prove vital to the quest to find Aunt Eibhlín. But Andrew is not the only one searching for his aunt, and the past and present suddenly collide and put the group in great peril. Aisling Lorrah does not know her summer will be one of self-discovery when she heads to her family’s ancestral mountain camp at Clear Spring for her college break. Once there, she finds a cryptic note that sends her on a course into the unknown. The passage will catapult her into grave peril so immense that it threatens her life and the lives of those she holds dear. Her journey brings her to the arid and treacherous place known as Medicine Gulch, where monstrous evil awaits. The terrain itself is tricky and unforgiving, and provides safe harbor to black forces intent on doing harm. Teachings of several Crow Indian tribal elders and her own Irish family magic combine to expand Aisling’s powers when events provoke the dangers lurking in the eerie canyons. Only an epic confrontation will define the future of her family and friends. The explosive conclusion redefines the power and magic of the Lorrahs and the wilderness they call home. In this finale of The Magpie Odyssey Series, something is attacking and killing elders who possess ancient and magical knowledge. When her own family elders and those of the Crow tribe tell Aisling Lorrah she will have to confront the unknown threat, she is bewildered and terrified. Her journey will take her to familiar places in the Big Horn Mountains and less familiar destinations in Ireland. Realms of past and present define her role in this battle as she ventures out alone. Without the help of her teachers and mentors, Aisling draws upon what she knows and what she learns in order to face the shocking adversary on a battlefield unlike any other. For readers who sought answers among the secrets of time and place, this book provides the answers. Through the intricacies of navigating her way, Aisling slowly puts together the solutions she seeks, despite the dangers and pitfalls along the way. Ultimately, what she has been taught combines with her own mysterious gifts to bring this story to its final conclusion. The book below is my mother's book, first published in 1993. Daylight in the Canyon is in every sense my mother's book, and her story. Drawn from memory, ranch records and the pages of her diary, this book is an account of her more than fifty-year marriage to my father Myron and their more than forty years together in the sheep business. The legacy they left me, and my sisters Chris and Lorretta, was one of industry, character and faith in God. We are, I believe indebted to that legacy for who we are and what we have become. This, then, is the story of Eleanor Lynde, my mother. I commend it to you. After numerous requests by readers, my brother, sister and I put Daylight in the Canyon back into print in 2007. We invite you to enter an earlier time within its pages. Daylight in the Canyon is a phrase old-time cowboys used to express how late it was in the morning. Since the bottom of the canyon is the last place to get light on any given morning, this is surely the last possible time to get up and get on with the day. Myron used this phrase to wake his family and/or any hired men he had occasion to call from sleep for the start of the workday. Since Myron was an extraordinarily early riser, there were many people over the years that believed they heard this call from him while it was still the middle of the night. And indeed, it was not uncommon for him to give this call while it was still hours before official sunrise came anywhere to the land.